Boston College (BC) is one of the most frequently searched colleges in America, according to a recent internet keyword search of American colleges. BC is a private, Jesuit Catholic research university, established in 1863.The school currently serves an enrollment of nearly 15,000 students, with roughly two thirds of them studying at the undergraduate level. Roughly one third of undergraduates who apply to BC are accepted. The school ranks 32nd among universities in America, according to U.S. News & World Report, and is also a top producer of Fulbright scholars. Notable alumni of the college include many famous athletes, businessmen, educators, entertainers, politicians, scientists, and writers. 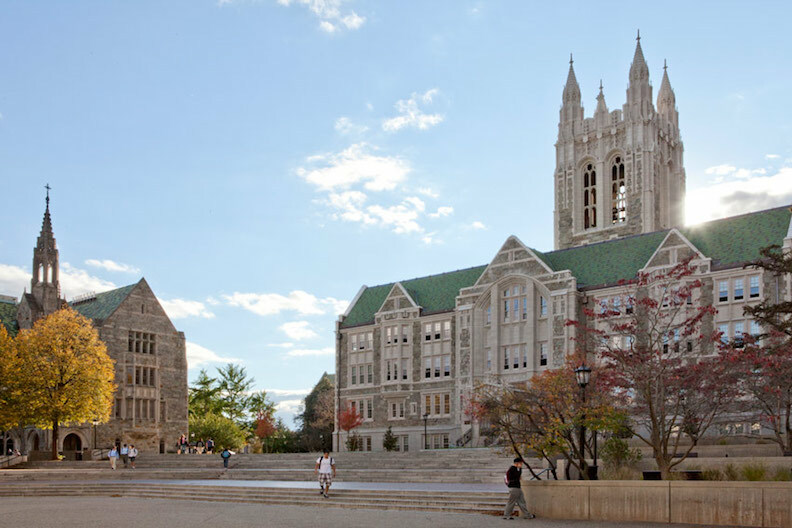 BC is a member of the Association of Jesuit Colleges and Universities. Here are the answers to some of the most frequently asked questions about BC. 1. Where is Boston College? 2. What types of degrees are available at Boston College? BC offers Bachelors degree and Masters degree programs, as well as PhD programs in a number of disciplines. 3. What undergraduate majors are offered at Boston College? 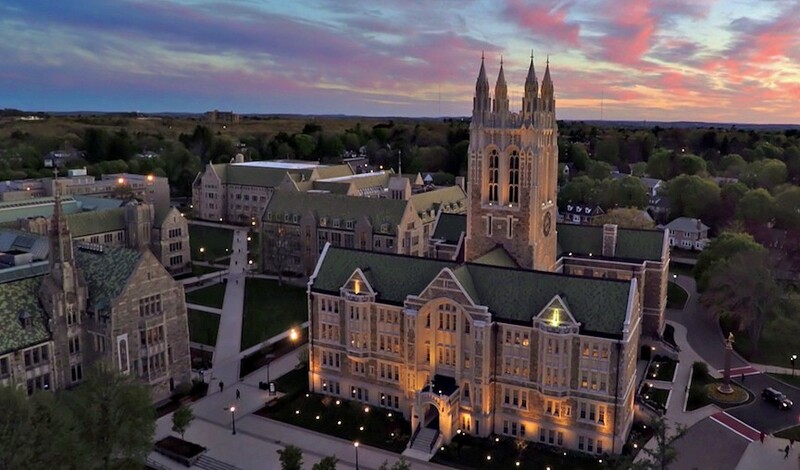 Above: An aerial view of BC, as Gasson Hall cuts a magnificent, gothic silhouette against a sunsetting sky. 4. What graduate programs are available at Boston College? BC offers graduate (Masters degree) studies in education, law, management, nursing, theology, and more. Click here for a list of Doctoral (PhD) Programs at BC. 5. What courses are taught at the Boston College Law School? BC features a comprehensive law college program. A class covering lawyering skills may substitute for the experiential learning credits. Above: The BC Law School. 6. How much does it cost to attend Boston College? The cost of the Nursing program at the Connell School of Nursing is $1,298 per credit. For Law School admissions, the cost of tuition and fees is less than $55,000 for one full year. However, when you add in all your living expenses, the total budget comes to approximately $72,500. The cost of attendance at the Carroll School of Business is $47,340 per year for full time students, and $1,612 per credit for part time students. At the Lynch School of Education, the current cost of enrollment is $1,364 per credit for both full time and part time students. Additional fees may also apply, such as application fees, registration fees, textbook fees, technology fees, parking fees, insurance fees, and others. Students applying to BC are probably eligible for financial aid if they fill out the Federal FAFSA form. Roughly 88% of BC students receive financial aid. 7. 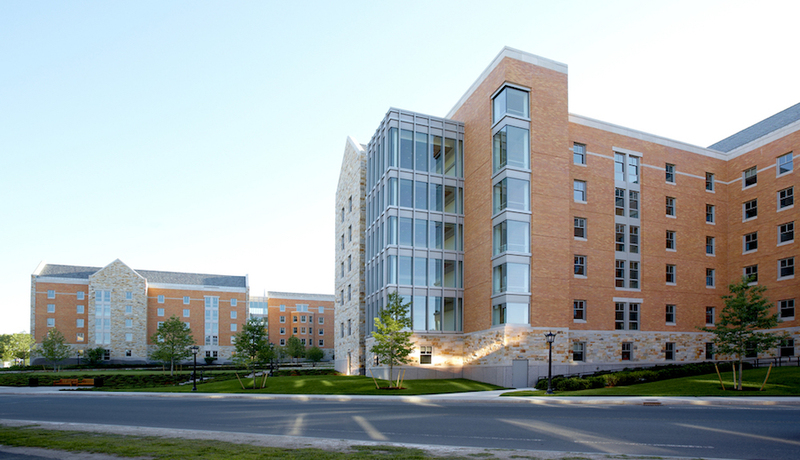 What is the Boston College campus like? The main campus of BC spans more than 175 suburban acres in Chestnut Hill, an affluent enclave of Boston. The main campus features some very early examples of Collegiate Gothic architecture. In fact, the main campus is listed on the National Register of Historic Places. Among the 120 academic buildings are classroom buildings, numerous labs, 8 research libraries, and several residence halls. The campus is bordered by Beacon Street to the south, and Commonwealth Avenue to the north. Needless to say, the neighborhood is bursting with cultural attractions, fine restaurants, and conveniences galore. Pubic transportation is abundant. 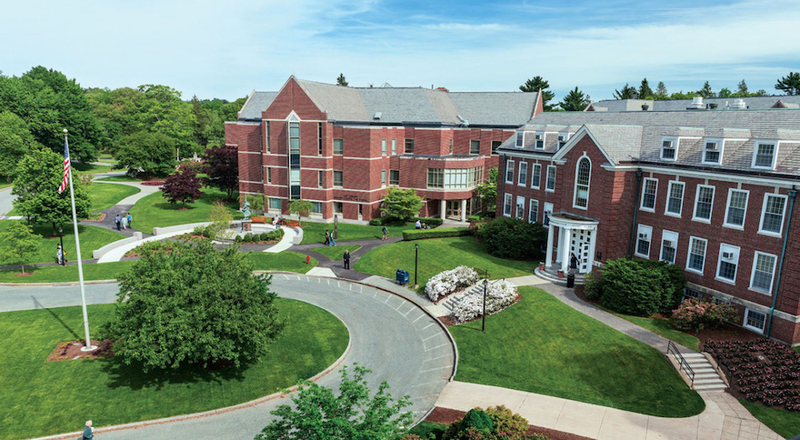 The BC Law School is located in Newton, roughly two miles northwest of the main campus. 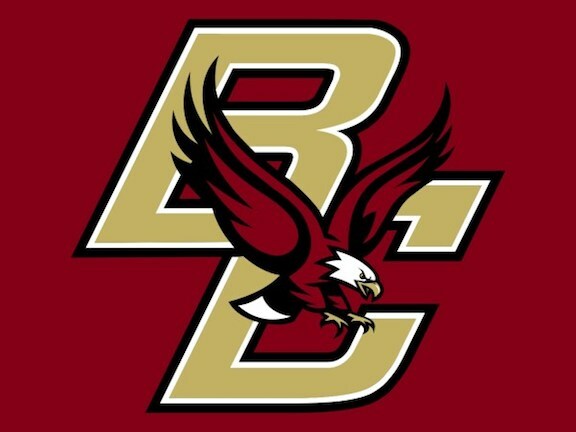 The athletic teams at BC are called the Eagles. They play for Division I of the the NCAA. The school colors are maroon and gold. Campus life at BC also includes numerous non athletic activities, such as musical groups, cultural organizations, about a dozen campus publications, and hundreds more student interest groups. Above: The BC men's hockey team wins National Championship. 8. 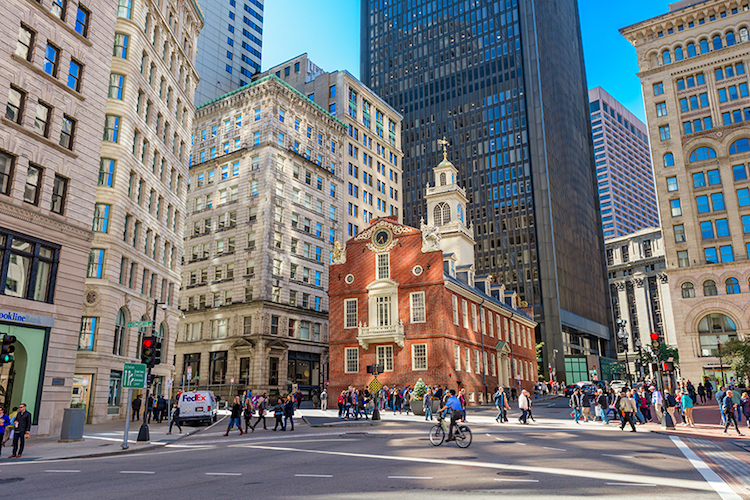 What are the distance learning options at Boston College? Although BC is not especially known for distance learning, the school offers some online classes through a learning management system called STM:Crossroads. Many of these are theology courses. Check the BC website for a list of upcoming online courses. 9. What is the contact information for Boston College? You can reach the main campus office of BC by calling 617-552-8000. To reach the law school of BC, call 617-552-4340.